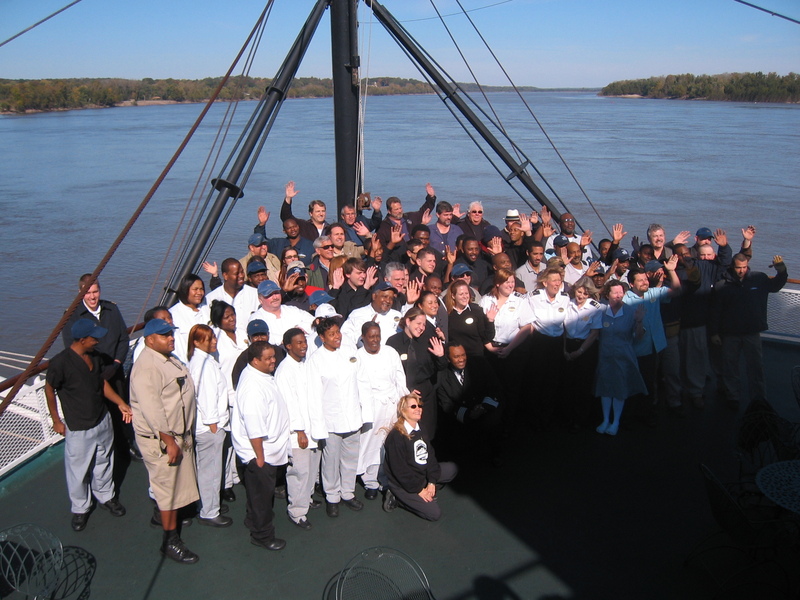 Tuesday afternoon the available members of the steamer Delta Queen gathered on the Texas Deck bow for a crew photo. I have never been so proud to have served with such an excellent staff. 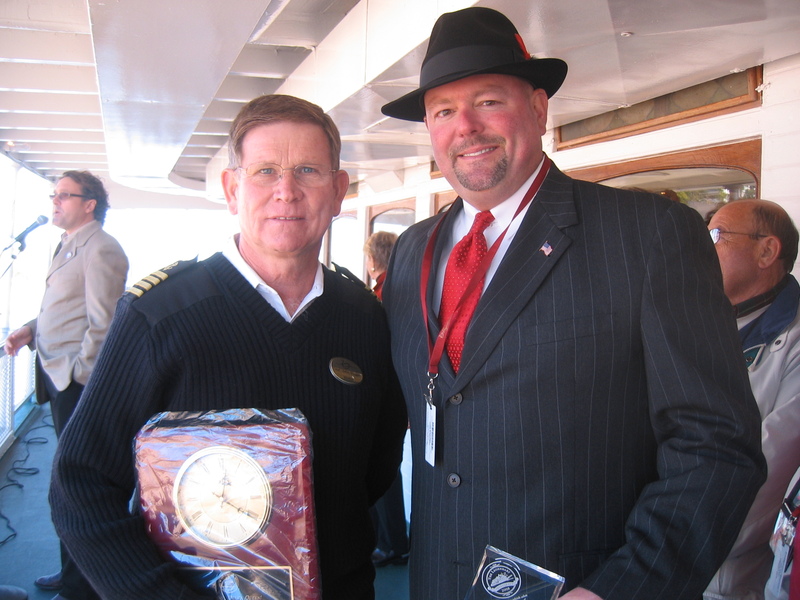 As we will soon be scattered to the four winds, I wish my steamboat family all the best. Kids in awe of the Delta Queen. 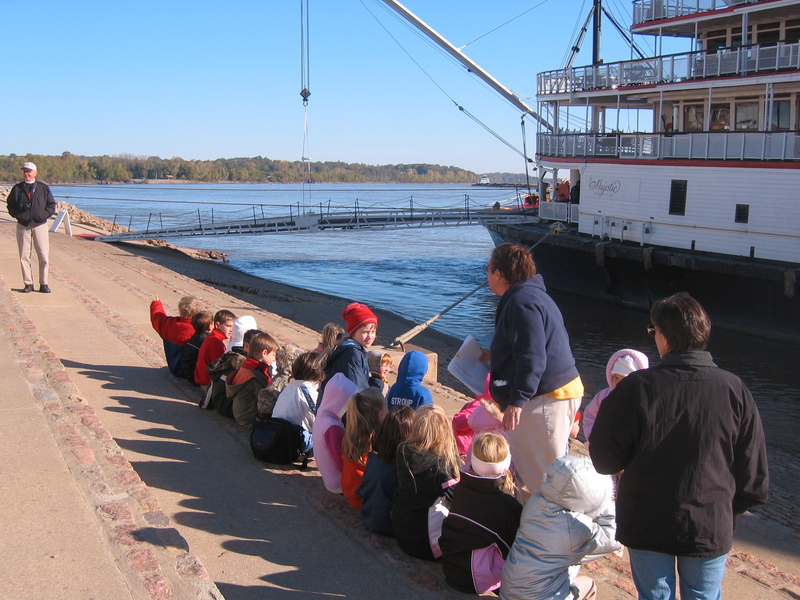 As the Delta Queen was docked in Cape Girardeau, MO, a group of schoolchildren assembled along the riverfront to see the boat. It weighed heavy on my heart as I realized this might be the last time for them to see an authentic steamboat. There are so many river towns that will lose this educational icon which illustrates how our country grew westward. It was the transportation provided by the steamboats that also made possible migration, and new agricultural and industrial opportunities. 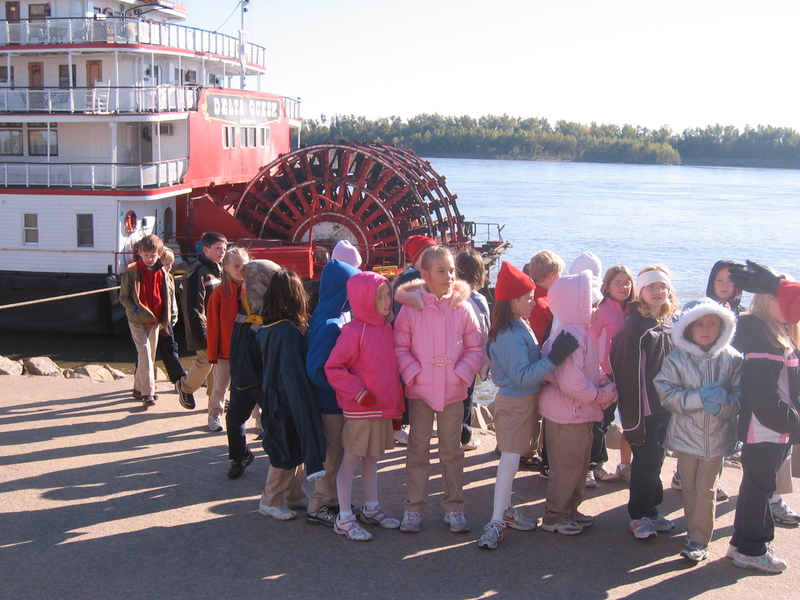 I desperately hope that these kids will see the Delta Queen again. Potential Delta Queen passengers for the 2058 season! 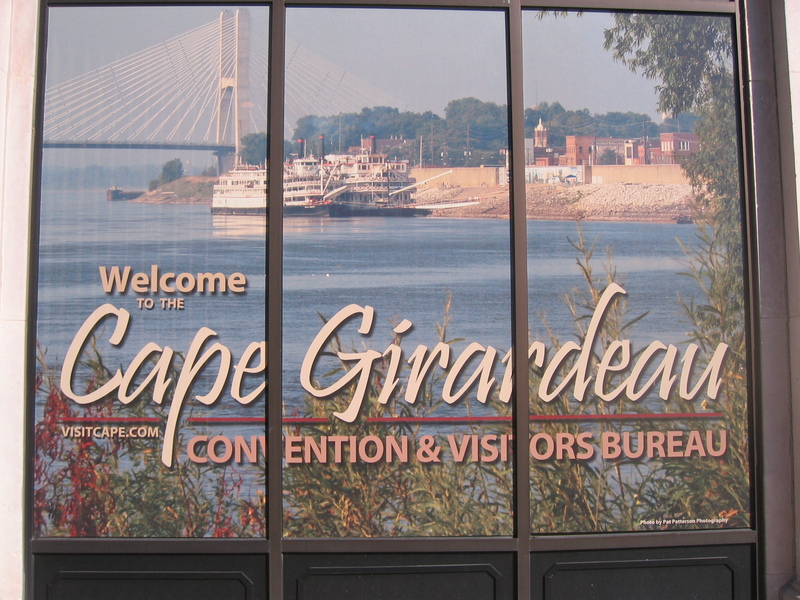 We bid our farewell to Cape Girardeau on a cold but sunny day. This is a town that truly loves the Delta Queen. Even the front of their Convention and Visitors Bureau features a picture of the Delta Queen and Mississippi Queen. We didn’t arrive into Cape Girardeau until mid-morning, so we extended our 1pm departure until 3pm. We had our Tribute Event for Cape at noon, but it was still really chilly. We put the band in the Forward Cabin Lounge and ran the speakers out onto the deck. We strung one microphone out to the chilly rail and conducted the presentations out there as about 100 brave (and bundled up) citizens came out for the event. It was clear and lovely, but as cool as it was, I knew those folks really wanted to be there and that meant alot! Cape always gives us such a nice welcome with volunteer greeters and even a local band! This is the furthest upriver the Delta Queen made it this season and as we turned and headed downstream, we bid a fond farewell to the lovely Upper Mississippi River. Until we meet again.